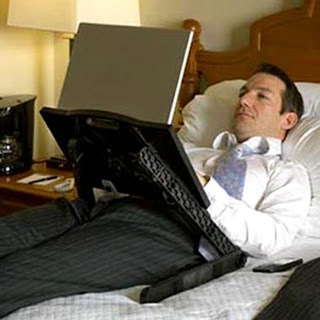 Did you ever feel waking up one morning too lazy to stand up but you hate to think that not connecting to the internet and not talking to your netizens could be fatal. 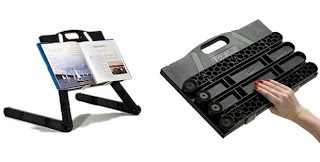 Fret no more, here's a revolutionary tool that makes lazy people even lazier.For a steep price of $120, you can get a foldable and adjustable plastic that is good for telecommuting, reading books and magazines on the comfort of your own bed. Now that's relaxing. is the table available in the philippines? where and how much is it? thank you.